Adler-Aquinas Institute – Why Gilson? Why Now? Before I start my talk I want to thank all of you who have taken the time to join us today in Warsaw for this historic founding of the International Étienne Gilson Society. I wish to talk to you today about why, at this precise time in history, founding an international Etienne Gilson Society is crucial to recovering in the West today proper understandings of human nature and of philosophy and why without recovering these proper understandings, within a short time, we will not be able to heal growing cultural antagonisms within the West and Western culture will likely fall victim to a new form of totalitarianism. Following the thinking of Gilson, I maintained that, for centuries, a Cartesian conception of human nature has been infecting and weakening Western cultural institutions. I indicated that these institutions had come into existence centuries before Descartes and had been rooted in an entirely different understanding of human nature than the one Descartes proposed. 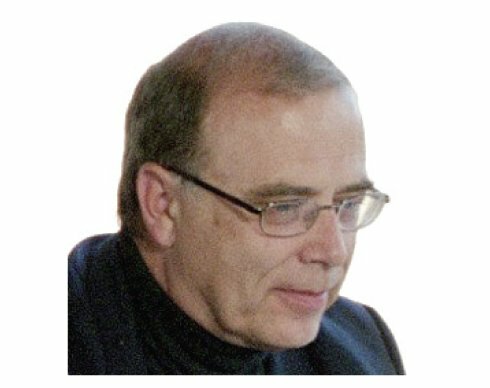 I claimed that, by this time in Western history (1990), this weakening of our cultural institutions had become so severe that these misunderstandings were “causing a death rattle within these institutions” that could not be stopped by charms, amulets, contemporary economic theory, or politics of Left or Right. The reason I could so confidently make these predictions is not mysterious. Decades ago I had had the good fortune to read Gilson’s The Unity of Philosophical Experience. In this work Gilson had outlined how, since the dawn of the modern world in the seventeenth century, Western culture had started to engage in a reckless adventure to abandon the Greek philosophical vision of the universe. Gilson called this Greek philosophical vision the “Western Creed,” and he saw it as the essential foundation of all Western cultural institutions. Simultaneous with the West’s attempt to abandon the Western Creed, Gilson saw the West attempting to replace the Greek philosophical vision with something Gilson called the “Scientific Creed.” As far back as the 1930s Gilson was pointing to Cartesian thought as a cultural revolution that had attempted to reduce all philosophy, sense realism, and science to the practical mechanistic science of mathematical physics. In ancient times philosophy and science were considered identical. And philosophical sciences like metaphysics, ethics, and politics could make claims to have a foundation for their principles in the sense world, in a sense realism, sense wonder. All these sciences could claim, in some way, to be rational, realistic, true. As Descartes saw the human condition, we human beings are spirits encased in machines. We are essentially two substances that cannot communicate with each other. God is the only cause of communication between these two substances, our mind and body. 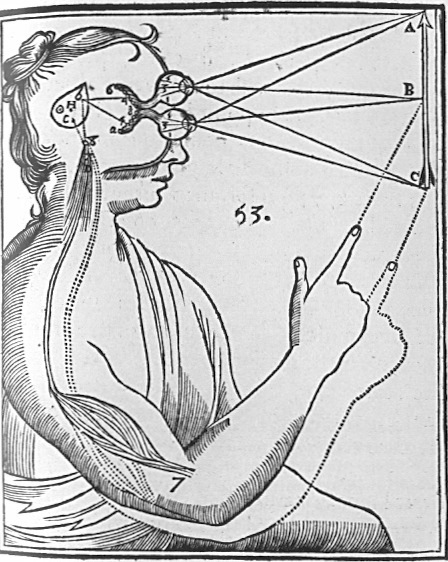 Hence, for Descartes the proper object of human science is clear and distinct ideas, not real, or mind-independent, beings that we grasp with the help of our bodily senses. Moreover, Descartes thought “science” is a name that we give to different logical deductive systems of clear and distinct ideas. 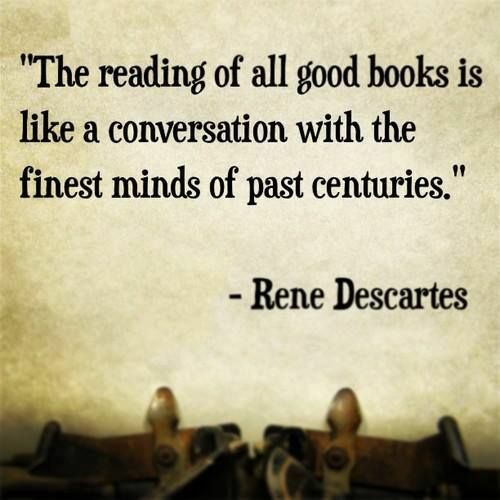 Descartes reduced all philosophy, science, to differing kinds of systematic logic. Outside restraints placed upon the human imagination by reasoning systematically under the influence of clear and distinct ideas like God, the soul, and extension, Descartes thought our unrestrained imaginations tended to cause our wills to wander, to become weak and unable to focus on ideas, see them clearly, grasp truth, and provide us with true science. In the area of physical science, Descartes maintained that just this sort of wandering occurs when we try to determine the essence of the sense world independently of the use of mathematical ideas. Hence, for Descartes, because it uses clear and distinct ideas to view the sense universe, mathematical physics is the only science that can tell us anything true about the essence of the sense world. And because they use clear and distinct ideas to study human freedom, while human sciences like metaphysics, politics, and ethics can tell us something true about the human spirit, they can tell us nothing true about the existence and use of freedom in the sensible world. Within a century and a half of Descartes’s dream of re-establishing science on the foundation of a system of clear and distinct ideas, and after the wondrous success of Newtonian physics, the Lutheran thinker Immanuel Kant sought to go beyond Descartes and simultaneously protect the fundamentalistic Lutheran understanding of faith by effectively divorcing philosophical disciplines of metaphysics, politics, and ethics completely from science and sense reality and reducing all scientific reasoning and sense realism to mechanistic mathematical physics. By so doing, Kant solidified a divorce that Descartes had introduced between truth and freedom, faith and science, and the philosophical disciples of metaphysics, ethics, and politics from contemporary mathematical physics, science, and sense reality. This essential opposition between reason and will, freedom, and truth means that, within a Cartesian conception of science, we can never be free by acting rationally because free behavior is essentially non-rational. Hence the propensity of so many Western youth today to identify being free with doing “crazy” things. Moreover, this essential opposition between of reason and will, freedom, and truth means that, within a Cartesian conception of science we have totally abdicated any means for rationally judging, evaluating, truth in any of our intellectual, cultural, or political institutions or disciplines. Hence the rampant madness, falsehood, and dishonesty that increasingly infect Western cultural institutions (like universities, politics, media, business, sports) in their essential operations. After all, if we buy into the Cartesian worldview, if we want to be scientifically political, politically truthful, we cannot expect to behave reasonably. And if we want to be politically rational we cannot expect to say anything true. If we want to scientifically intellectual, we have to express our feelings. And these feelings have to be intensely non-rational if we expect them to express any truth, and not truthful if we expect them to be in any way rational. If we want to be successful, behave reasonably, in business, sports, or media, we have to lie and be dishonest because the rational is the opposite of what is true. Given the essential madness of Cartesian thought, over the past several centuries, Western thinkers have attempted to use several intellectual frauds, different forms of sophistry, to help maintain the intellectually unjustifiable modern reduction of all science to physics and the divorce of truth and freedom from rationality. Chief among these frauds has been modern socialism, which has called upon neo-gnostic thinkers like Georg Hegel, Karl Marx, and Charles Darwin and pseudo-politicians like Adolf Hitler, Benito Mussolini, and Josef Stalin to fabricate the myth that the essential flaw within modern Western Cartesian thought has actually been a necessary historical moment in the march of the human spirit to emerge from some form of backward historical consciousness into that of an Enlightened socialism bringing into being a new scientific world order. 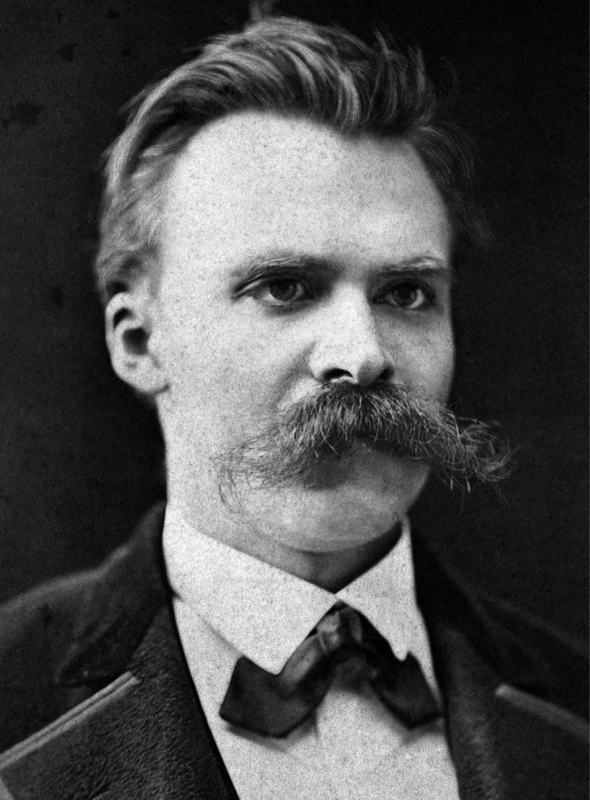 With Nietzsche’s short sentence, “They do not know that God is dead,” Gilson thought that the transvaluation of Western values had started in earnest. Postmodern man wished to make himself divine, usurp God’s place, become God. Gilson considered Nietzsche’s declaration of God’s death “the capital discovery of modern times.” Compared to Nietzsche’s discovery, Gilson maintained that, no matter how far back we trace human history, we “will find no upheaval to compare with this in the extent or in the depth of its cause.” Gilson thought that Nietzsche’s declaration of God’s death signaled a metaphysical revolution of the highest, widest, and deepest order. If our entire cultural history depended upon the unswerving conviction that God exists, “the totality of the future must needs depend on the contrary certitude, that God does not exist,” on a subliminal hatred of the Western Creed. Gilson thought that Nietzsche’s message was a metaphysical bomb more powerful than the atomic weapon dropped on Hiroshima: “Everything that was true from the beginning of the human race will suddenly become false.” Moreover, mankind alone must create for itself a new self-definition, which will become human destiny, the human project: To destroy. Mad ambition, then, has become postmodern man’s project: everywhere to reestablish the void, a new world disorder, by wrecking traditional Western values. Gilson sees this Nietzschean project to be a continuation of the Enlightenment project, to create a utopian new world order in which, against the backward intellectual and moral traditions of Jews, Christians, and ancient philosophers, the mad dreams of the poetic human imagination and utopian socialists replace reality. The new world disorder is universal surrealism, total release of human reason, of creative free spirit, from all traditional metaphysical, moral, and aesthetic controls; the poetic spirit, the spirit of the artist gone totally mad with the intoxicating, surrealistic power of destruction. Gilson maintained that the father of postmodern man’s post-World War II existential project is Sisyphus. Our destiny has become “the absurd” and “truly exhausting task” of perpetual self-invention without model, purpose, or rule. Having turned ourselves into gods, we do not know what to do with our divinity. Finding ourselves totally free to engage in the perpetual task of endless self-creation, Gilson said we resemble a soldier on a twenty-four hour leave with nothing to do: totally bored in the tragic loneliness of an idle freedom we cannot productively use. Gilson considered our postmodern story to be really quite old. Like the Jewish people in the time of Samuel, tired of being really free, we seek expand our freedom by putting ourselves under the rule of a king. Having freed ourselves from divine rule, the necessary political consequence for postmodern man is political enslavement by a totalitarian State. Having refused to serve God, we have no one left to judge the State, no arbiter between us and the State. To Gilson’s ears, the explosion of Hiroshima resounded a solemn metaphysical assertion of postmodern man’s statement that, while we no longer want to be God’s image, we can still be God’s caricature. While we cannot create anything, we now possess the intoxicating power to destroy everything. As a result, feeling totally empty and alone, postmodern man offers, to anyone willing to take it, the futile freedom he does not know how to use. “He is ready for all the dictators, leaders of these human herds who follow them as guides and who are all finally conducted by them to the same place—the abbatoir” (the slaughterhouse). At present, we in Western culture find ourselves in a condition of cultural confusion precisely because, as Gilson understood, we have lost our sense realism and have turned our understanding of science into an enemy of truth and a friend cultural destruction. Having lost our sense realism we have lost our philosophical minds, our philosophical minds have lost touch with reality and have developed a subliminal hatred for our cultural traditions and institutions. Having lost our understanding of the nature of philosophy, we can no longer find any rational arguments by which to justify and sustain our different cultural institutions, which, increasingly we are encouraged to loathe. Having become so completely lost intellectually, we have increasingly transformed ourselves into universal skeptics, prime subjects for enslavement by dictators. Western culture has traditionally justified its cultural institutions by use of classical philosophical arguments rooted in the common philosophical convictions that man is a rational animal and God exists. Having lost our faith in these essential precepts of the Western Creed, we in the West have largely lost our ability to think philosophically. Thus, we can no longer rationally and philosophically justify Western culture itself. Why Gilson? Why now? Because, among all the leading intellectuals of the past or present generation no one has better diagnosed the philosophical ills of Western culture and better understood the remedy for those ills than has Gilson. Decades ago Gilson asked a very sobering question for our time: “Can a social order, begotten by a common faith in the value of certain principles, keep on living when all faith in these principles is lost?” Gilson answered this question in the negative. He told us we were losing our freedom because we were “looking at irrationality as the last bulwark of liberty.” We were looking to ground human freedom and Western culture on the corpse, and subliminal hatred, of the Western Creed, including the corpse of Western philosophy. Unhappily, as Gilson has shown us through repeated appeals to philosophical experience, trying to build a social order on the carcass of philosophy is doomed to fail because it ignores “The First Law of Philosophical Experience”: “Philosophy always buries its undertakers.” This is true whether the undertakers be individuals, politicians, religions, or whole cultures. Since postmodernity’s chief problem is that we have lost our reason because we have lost our sense realism, philosophy, and God, Gilson thought that the solution to our ills to be simple. We will not find our reason again until we have “first found God again.” And we will not find God again without the willingness “to receive what still remains of grace today.” To do that, we must turn our minds again to the world, to have them measured by the being of things, not by our unbridled and unmoored poetic imaginations. To Gilson, this meant that, to recover our culture, we would have to attempt once again to inhabit the universe of St. Thomas in which the service of God and reason are compatible and produce in us order, beauty, and joy—not nausea—because, in this world, unlike the postmodern Nietzschean world, the necessary condition for the existence of one does not entail the necessary destruction of the other. For, sharing the same cause as part of the same creation, the order of our freedom, thoughts, truth, and, reality complement, they do not contradict, one another. By ignoring the reality that science is principally a habit of mind, not a system, or body of knowledge, and that the being of things constitutes part of philosophy’s life-blood, modern “philosophers,” including many Thomists, have largely lost our under-standing of philosophy as rooted in reality, in principles of sense wonder. In so doing we have all somewhat contributed to a loss of respect for the philosophical realism that underpins the Western Creed that sustains our cultural institutions. The hour is late. We in the West no longer have the luxury of ignoring a return to philosophical realism and to a philosophical defense of our Western Creed, including our belief in the existence of God. The choice before us is clear: Philosophy or the slaughterhouse, Gilson or Nietzsche. I choose philosophy. Hence, I also choose Gilson. I hope you will join me and my colleagues to help others do the same. For a more detailed treatment of the new world order as a kind of anti-philosophical disorder, see Peter A. Redpath, “The New World Disorder: A Crisis of Philosophical Identity,” in Contemporary Philosophy 16:6 (November/December 1994), pp. 19–24. Étienne Gilson, The Unity of Philosophical Experience (New York: Charles Scribner’s Sons, repr. 1965 of original 1937 Charles Scribner’s Sons publication). 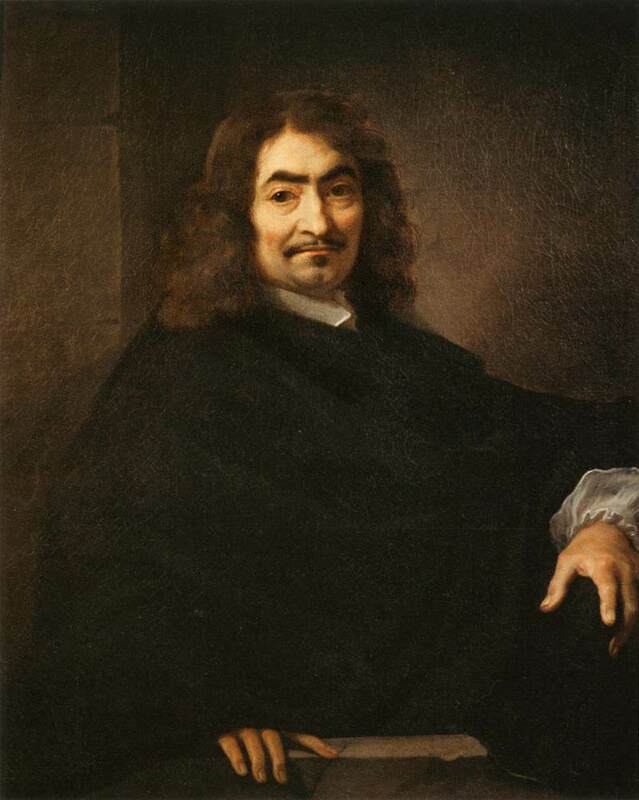 For a detailed exposition and critique of Descartes’s teachings about philosophy and science, see Peter A. Redpath, Cartesian Nightmare: An Introduction to Transcendental Sophistry (Amsterdam and Atlanta: Editions Rodopi, B. V., 1997). For a detailed exposition and critique of the role Kant played in the Cartesian revolution, see Peter A. Redpath, Masquerade of the Dream Walkers: Prophetic Theology from the Cartesians to Hegel(Amsterdam and Atlanta, Editions Rodopi, B. V., 1998), pp. 101–166. Étienne Gilson, The Terrors of the Year 2000 (Toronto: St. Michael’s College, 1949), pp. 5,.7. Gilson, The Unity of Philosophical Experience, p. 272.